RIM just got official on its BlackBerry Pearl Flip (aka the Kickstart). Still a kinda clumsy-looking piece, the Pearl Flip is just like the candybar Pearls, but you know, fliptastic, with an an external display for previewing incoming texts, emails and phone calls. Watch for it at T-Mobile soon. RIM Introduces the First BlackBerry Flip Phone New BlackBerry Pearl Flip Brings The Industry's Leading Mobile Messaging Solution To Consumers Who Prefer Flip Phones Waterloo, ON – Research In Motion (RIM) (Nasdaq: RIMM, TSX: RIM) today unveiled the BlackBerry® Pearl™ Flip 8220 smartphone, the first BlackBerry® phone to come in the popular flip form factor. The new BlackBerry Pearl Flip provides flip phone fans with all the power of a BlackBerry smartphone in a fun and familiar design. One quick flip of the handset opens up a world of possibilities with the industry's leading mobile messaging solution and a wide range of impressive Internet and multimedia capabilities, all in one powerful yet approachable smartphone. You can send a message to your friends or family, make a call, browse the web, snap a picture, watch a video or listen to your favorite song. It's all in your control with a simple flip. The quad-band EDGE based BlackBerry Pearl Flip smartphone presents a sophisticated look with a sleek design and a chrome-finished frame surrounding its smooth, luminescent face. Packed with an abundance of powerful features, it weighs only 3.6 ounces and measures approximately 3.9" x 1.9" x 0.7". Featuring two high-resolution, light-sensing color displays, the external LCD makes it easy to preview incoming emails, text messages and phone calls without opening the handset, while the large, 240 x 320 internal LCD displays messages, videos and web pages with impressive detail and contrast. "The popularity of BlackBerry smartphones has grown tremendously around the world and the introduction of this exciting new flip phone will help extend the reach of the BlackBerry platform even further," said Mike Lazaridis, President and Co-CEO, Research In Motion. "The BlackBerry Pearl Flip is a full-featured smartphone with a unique and friendly design and it is a natural choice for flip phone users who want to start doing more with their phone than just talk." FIRST CLASS PHONE The BlackBerry Pearl Flip smartphone is a top of the line mobile phone that flips open and cradles the face naturally and comfortably during phone calls. It delivers exceptional voice quality and includes many premium phone features, including Speaker Independent Voice Recognition (SIVR) for Voice Activated Dialing (VAD), support for mp3 ring tones, smart dialing, conference calling, speed dialing, call forwarding, voicemail attachment playback and enhanced background noise cancellation. It also features a speakerphone and Bluetooth® 2.0 for use with hands-free headsets, stereo headsets, car kits and other Bluetooth peripherals such as a GPS receiver. The removable/rechargeable 900 mAhr battery provides four hours of talk time and over 14 days of standby time. MESSAGING POWERHOUSE Featuring a large SureType® QWERTY* keyboard that makes typing messages and dialing numbers fast and easy, the BlackBerry Pearl Flip, like all BlackBerry smartphones, provides integrated access to the industry leading BlackBerry wireless services. Users are able to easily access up to 10 supported personal and work email accounts, send and receive text and instant messages, and connect on popular social networking sites with friends, family and co-workers. The DataViz® Documents to Go® software suite is also preloaded, allowing users to edit Microsoft® Word, Excel and PowerPoint files directly on the handset. The BlackBerry Pearl Flip is supported on BlackBerry® Internet Service, BlackBerry® Unite!, BlackBerry® Professional Software and BlackBerry® Enterprise Server, which provides tight integration with corporate email systems and the security and IT policy controls that enterprise customers require to confidently allow smartphones in their organization. MULTIMEDIA TO GO With an advanced media player for displaying pictures, listening to music and watching videos, the BlackBerry Pearl Flip is the perfect on-the-go entertainment center. Videos play smoothly on the large internal display, playlists can be managed directly on the handset and there's an equalizer with 11 preset filters – including "Lounge", "Jazz" and "Hip Hop" – for customizing audio ranges when using headphones or external speakers. The BlackBerry Pearl Flip works with the new BlackBerry® Media Sync application that makes it easy to sync iTunes digital music collections with the smartphone*** and it also features a conveniently accessible microSD/SDHC memory card slot that supports up to 16GB** for plenty of storage. High Speed USB 2.0 support allows files to be quickly transferred between a desktop computer and the smartphone and the BlackBerry® Desktop Manager software includes Roxio® Media Manager for BlackBerry® to help users easily manage their music and video files. Roxio Photosuite® 9 LE is also included for creating photo albums and editing pictures. FULL FEATURED FLIP The BlackBerry Pearl Flip packs an impressive range of features into its compact design, including phone, email, messaging, organizer, browser and multimedia applications, and it can also support thousands of other mobile lifestyle and business applications. It features a 2 megapixel camera with flash, zoom and video recording**** to capture memories while on the move, and includes BlackBerry Maps to deliver maps and step-by-step driving directions quickly and easily. An enhanced HTML browser displays web pages beautifully in either "Column View" or "Page View" and different emulation settings allow users to choose between desktop-style HTML content and the mobile version of web pages. The browser also supports RTSP for watching online streaming video from sites like m.youtube.com. In addition, the BlackBerry Pearl Flip smartphone features built-in Wi-Fi® (802.11 b/g) with support for UMA (unlicensed mobile access), extending wireless email and data coverage and supporting carrier enabled voice calls over home Wi-Fi networks, enterprise wireless deployments and Wi-Fi hotspots. ACCESSORIES The BlackBerry Pearl Flip comes with a variety of accessories including a stereo headset, travel charger and USB cable. Additional accessories for BlackBerry smartphones, including holsters and totes, charging pods, premium earphones, Bluetooth headsets and the BlackBerry® Remote Stereo Gateway are available through retail outlets or online at www.shopblackberry.com. AVAILABILITY The BlackBerry Pearl Flip 8220 smartphone will be available from wireless carriers around the world beginning this fall. 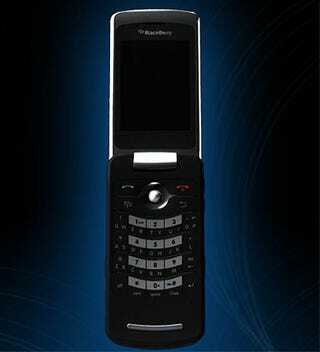 The BlackBerry Pearl Flip will be available in the United States exclusively from T-Mobile beginning this fall. Specific availability and pricing details will be announced at a later date. For more information please visit www.BlackBerryPearl.com T-Mobile USA customers can check out more details about this new flip phone and register to be notified when the BlackBerry Pearl Flip is available at www.BlackBerry.com/T-MobileBlackBerryPearlFlip Media can access images and video of the BlackBerry Pearl Flip 8220 smartphone at http://rim.mediaseed.tv/ About Research In Motion (RIM) Research In Motion is a leading designer, manufacturer and marketer of innovative wireless solutions for the worldwide mobile communications market. Through the development of integrated hardware, software and services that support multiple wireless network standards, RIM provides platforms and solutions for seamless access to time-sensitive information including email, phone, SMS messaging, Internet and intranet-based applications. RIM technology also enables a broad array of third party developers and manufacturers to enhance their products and services with wireless connectivity to data. RIM's portfolio of award-winning products, services and embedded technologies are used by thousands of organizations around the world and include the BlackBerry® wireless platform, the RIM Wireless Handheld™ product line, software development tools, radio-modems and software/hardware licensing agreements. Founded in 1984 and based in Waterloo, Ontario, RIM operates offices in North America, Europe and Asia Pacific. RIM is listed on the Nasdaq Stock Market (Nasdaq: RIMM) and the Toronto Stock Exchange (TSX: RIM). For more information, visit www.rim.com or www.blackberry.com. * Keyboard also available in AZERTY and QWERTZ configurations to support different language groups. ** MicroSD/SDHC memory cards are available today in configurations of up to 8GB and the BlackBerry Pearl 8220 smartphone will support upcoming 16GB microSD/SDHC cards. *** Certain music files may not be supported, including files that contain digital rights management technologies. **** Video recording requires microSD card, which may be sold separately.